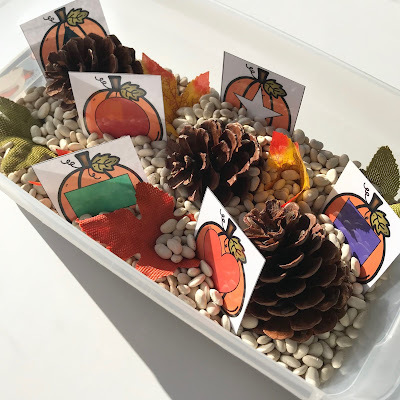 Fall is in FULL swing over here in the midwest and I really wanted to create a simple sensory bin to take along with me to my in home therapy sessions in the next few weeks. I headed over to my local Dollar Tree and grabbed a few cheap sensory bin "ingredients". 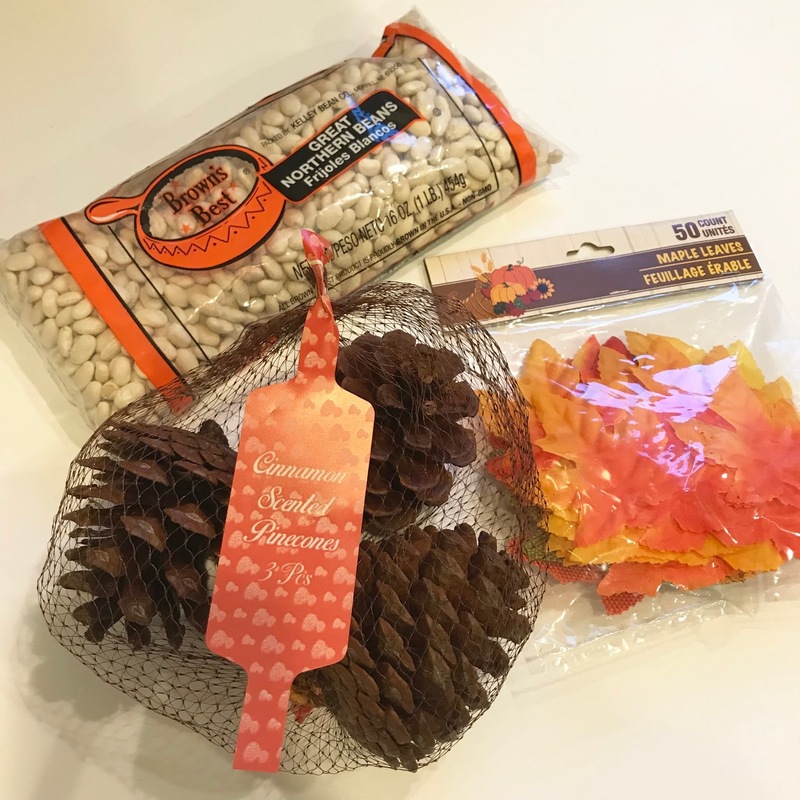 I grabbed 3 bags of these dry northern beans, cinnamon scented pinecones, and fake leaves. I already had a small plastic container at home! Because I am no longer in the classroom and am instead a SERIOUS bag lady (I always have at least 4 bags in my back seat) who is doing in-home ABA, I kept my sensory bin small. I used a 6 qt. Sterilite container to make it easy to transport! 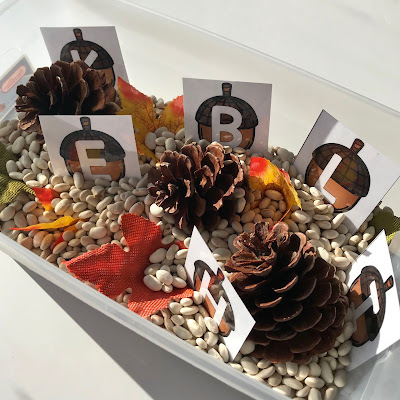 I put together some alphabet, number, and shapes "fall themed" cards and printed/laminated them to use in the sensory bin! Now I have a sensory bin that my kids will love AND we can incorporate some academics into it. During therapies, I put in some of the cards of my choice and have the child "search" for the shape, letter, or number! Is there anything better than disguising learning as fun?! Click here to grab your free sensory bin cards! When it's time for a new sensory bin, bag up your bin in a large Ziploc bag so you can easily use it again next year! I will take the fall themed items out and bag them & reuse the beans for other bins! I'd LOVE to see your sensory bin cards in use - tag me on Instagram @myspeciallearners so I can see them! Happy Fall!